Above: float vendors. Varying in size and design, each one has a candle and some incense. For 2000 riel (50 cents) one could be yours. 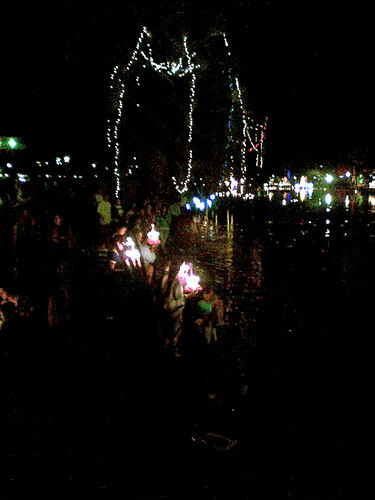 Loy Pratip celebration follows the boat races of Water Festival. In Siem Reap it takes place right in the center of town, at the river which winds through it. This was the biggest I’ve seen it yet. 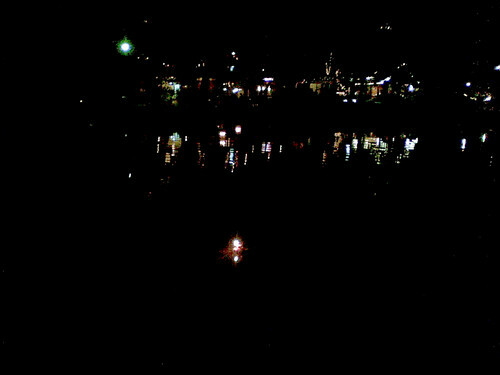 Here people walk down to the river with their lighted float and send it off (with the enthusiastic help of some swimming kids) to appease spirits. 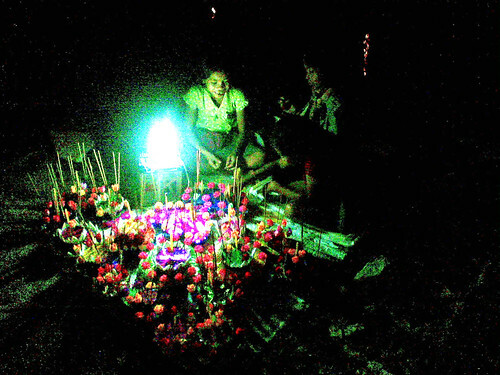 This is one of my favorite Khmer ceremonies, and feels a touch more animist than Buddhist. Above: one last float joins the current. Oh, beautiful. I have never seen them, really.